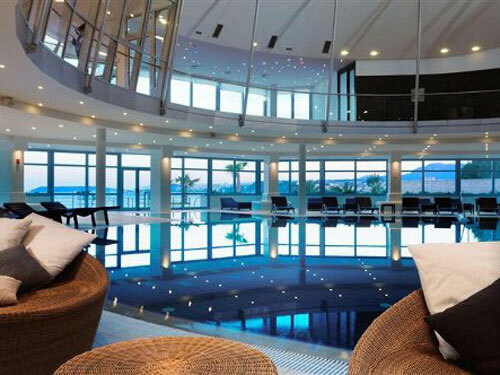 Le Méridien Lav, Split Located in Podstrana, eight kilometers south of Split, Le Méridien Lav, Split’s beautiful setting features 800 meters of beach frontage, gardens landscaped by award-winning designer Jim Nicolay, and fantastic sea views overlooking the city and the surrounding islands. 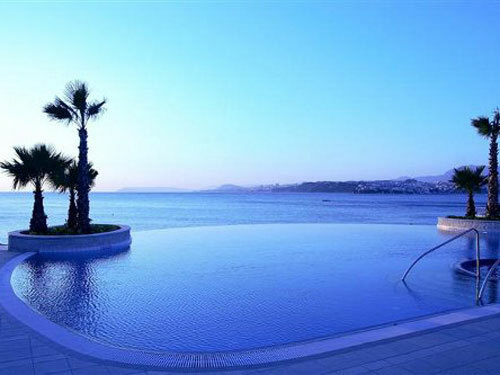 Located in Podstrana, eight kilometers south of Split, Le Méridien Lav, Split’s beautiful setting features 800 meters of beach frontage, gardens landscaped by award-winning designer Jim Nicolay, and fantastic sea views overlooking the city and the surrounding islands. The 381 guest rooms and suites, spread across four interlinked buildings, are the largest guest rooms on the Dalmatian coast. Designed by acclaimed Italian designer Lorenzo Bellini, all interiors have a warm, inviting ambiance. A combination of eight restaurants and bars in the hotel and set along the Marina Promenade allow guests to experience a variety of cuisines. At 2,900 square meters, the hotel’s conference and banqueting facilities are the largest on the Adriatic Sea, featuring eight meeting rooms. Designed by Christophe Herbert of Principal Concepts, the hotel’s casino features 140 slot machines, eight gaming tables, a Salon Privé, and a sports bar. 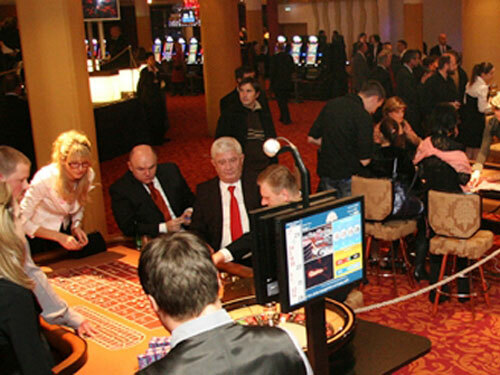 The adjoining nightclub offers live entertainment. 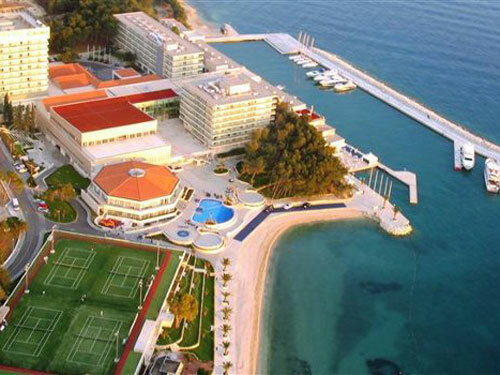 Recreational venues and activities include the Tennis Academy, with four championship courts, and the Water Sports Centre, which offers scuba diving, waterskiing, sailing, rock climbing, abseiling, archery, and the Penguin Club for young guests. The Diocletian Spa and Wellness centre includes an indoor pool, saunas, steam baths, whirlpools, nail and pedicure studios, solarium, meditation room, relaxation zone, five specialist treatment rooms, a gym, as well as a doctor's office. The hotel's Marina Promenade features shops, restaurants, bars, and cáfes, and the Yacht Marina is home to 60 yachts. For the design of the guest rooms for the re-opening of the Le Méridien Lav in 2006/2007, Lorenzo Bellini teamed-up with the Italian company Selva in order to create a timeless guest room design which captures through its soft colours and clear lines, giving a contemporary and sophisticated living experience. Key for your perfect experience with us is to select the right room for your needs. 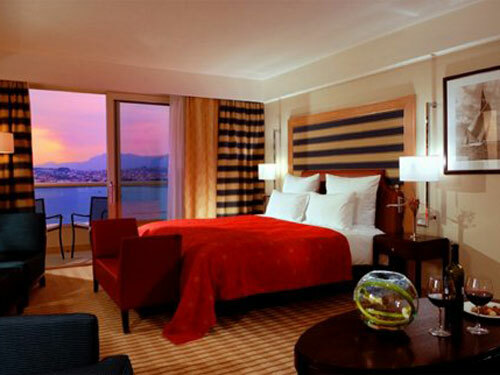 As all rooms are equipped to Le Méridien standards the main criteria are the size and the view. In above drop down menu you will find an objective description of the available sizes, types and views. All rooms feature Mini Bar, controllable air-conditioning, hair-dryer, ironing board, LCD TV, Fast Speed Internet, Balcony, Iron + Ironing Board, Sprinkler + Smoke Detector, high quality mattress, safe, modern contemporary bathrooms. Lying in your shades, sipping a mojito by the beach is just not satisfying your curiosity? Extensive entertainment program just doesn't feel enough? A matchless combination of hedonism and historical discovery awaits for you beyond the cosyness of the resort. Roman ruins, spectacular beaches, old fishing ports, medieval architecture and historic cities - Dalamatia is an absolute wonder to behold. The Spalatum exudes an impression of understated style that is complemented by warm and professional service. With a commitment to quality and innovation, local produce is carefully prepared for a contemporary á la carte menu, balanced perfectly by a reputable international wine list. The Laguna Bar is a fresh alternative. 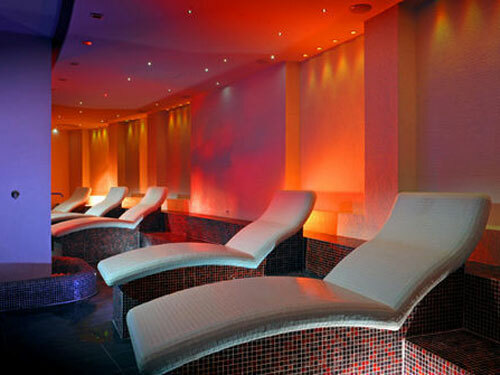 Its location around the pool and near the Spa and Wellness Centre creates a therapeutic atmosphere. Elegant, yet modern, The Champagne Bar offers a tempting bar and wine list, a fine collection of champagnes, and a comprehensive, contemporary cocktail menu. Clean lines, funky lights, and hip music provide a feeling of exclusivity. During the warmer months, relax outside on the terrace, with stunning views across the Adriatic to the town of Split and the surrounding islands. Pivnica is steeped in tradition. It may have a fresh coat of paint, but the original interior is the same as the day it first opened. Its white walls and dark wood make for a very comfortable place to dine. The traditional pizza and pasta menu is produce-driven and inspiring in its simplicity. Patrons come for the food and the pub-like atmosphere. With its sleek and contemporary design, revolving art exhibition, and central location overlooking the reception and lobby, The Art Café is buzzing with life and is the heart of the hotel. It’s a place where coffee, culture, and art come together. Its passion for excellence embraces the beauty and art in everyday life – whether it’s the pleasure of a perfect espresso, an exquisite painting, or an inspired piece of music or writing. Less is more in Diocletian Spa, expect a sleek and refined atmosphere where the focus is on you. Find your personalized Spa experience, a peaceful harmony that will orchestrate your Mind, Body and Soul. We have selected our most popular spa treatments and carefully combined them to offer you 12 wonderful spa packages during your visit. Experience the ultimate in meetings on the Adriatic coast.... Imagine eight modern meeting rooms.... the largest column-free ballroom in the Region.... imagine the space for business, conferences and more pleasurable affairs.... discover the ballroom set-up designed to capture the attention of 800 pairs of ears.... shape the vision of 800 pairs of eyes.... or provide the sophisticated ambiance to fill 600 stomachs. Expand the space through eight further meeting rooms, accommodating from 10 to 280 opinion makers.... a pool deck for up to 300 romantic souls.... 4 more terraces for 20 - 200 open air enthusiasts.... a beach for hundreds of party animals.... a marina for sophisticated cocktails. Flex your meeting solutions, explore business reception areas. State-of-the-art audio-visual equipment / AV connection between meeting rooms / High speed WIFI internet / In-house convention team / one of the most creative culinary teams in the Mediterranean / fully equipped business centre / one entire floor just dedicated to meetings / large choice of outdoor venues.